Wind 090/05, poor visibility all day. The good soaring forecast did not happen today and the visibility was too poor for any cross country. Paul converted to the K13 and Mike Bosley and stephen Wilkinson converted to the K8. Lots of activity on the airfield with over 40 launches in all. 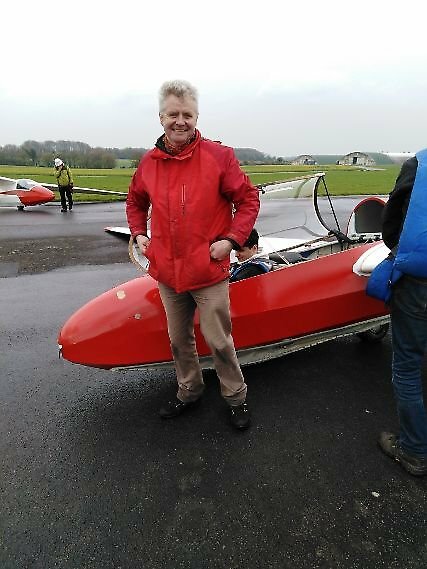 Roger and Pat are now back in the UK so instructor availability is now back to normal. thanks everyone for all the help on the field, it was good fun efficient and safe. The day ended with pie and chips in the club room while we watched Jules take off with his flying duvet. Another good day tomorrow, and then we look forward to a 4 day weekend----I have already put in the order for good weather. winds VRB 05, poor visibility and cloud. launch failure and conversion to the K13 for Mike and Stephen, while John learns how to launch and land. 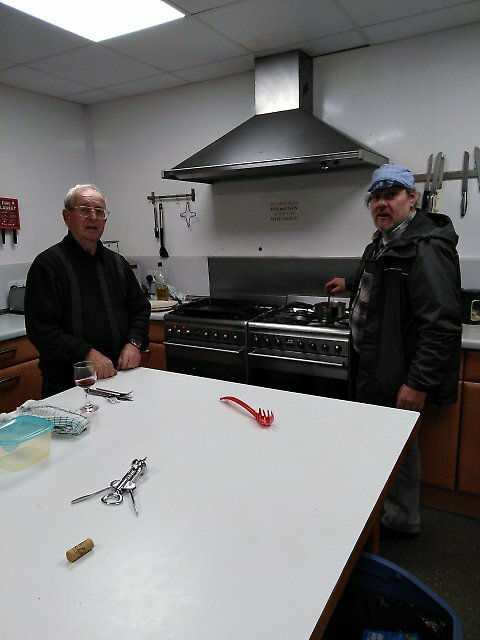 many thanks to our volunteer club members Dave and Barrie for helping us achieve such a high launch rate. 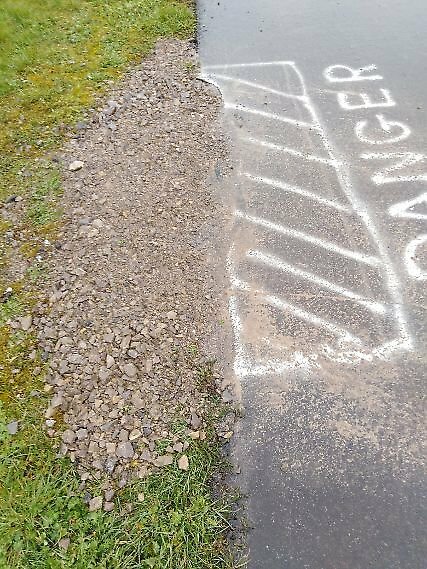 This helped get the course well on track. 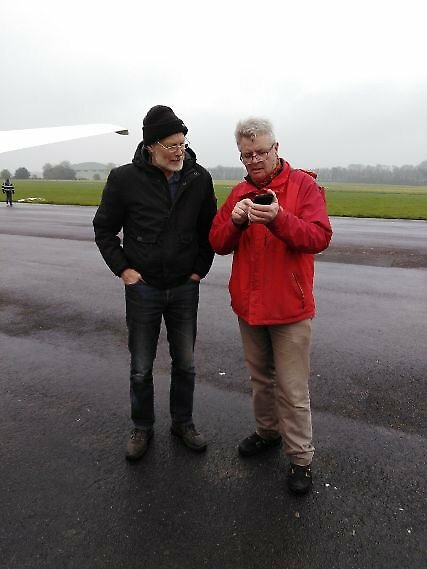 David and Barrie also took the opportunity to fly a circuit or two and keep themselves current. The day ended with a delicious meal at the Rose in Frampton Mansell. Club day tomorrow promises to be good, so get on up here nice and early. 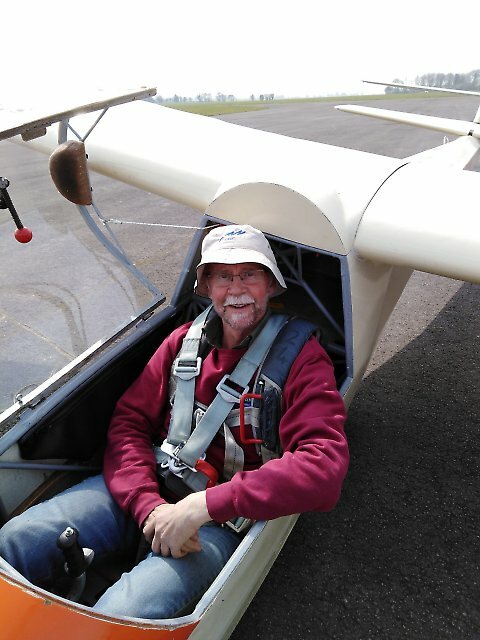 The rest of the week also looks fine for soaring, David and I will be away over the bank holiday so any help to keep the flying going would be appreciated. The course has started well. 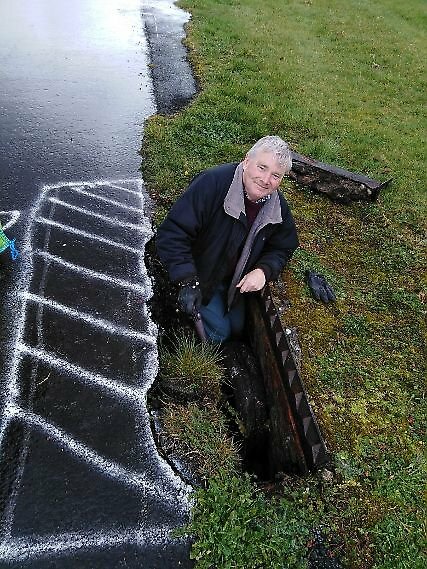 Welcome back to Stephen Wilkinson(The lakes), Mike Bosley(Shobdon) and welcome to John o'Connell (dartmoor). 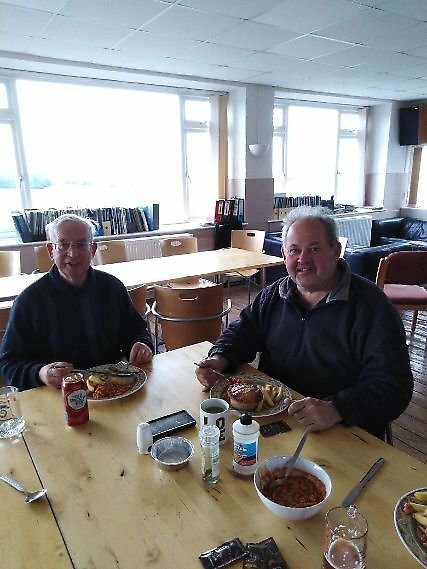 The week should be steadily improving, Stephen and |Mike getting back in the groove before resolo and John a newbie starting his training with an intensive course. Dont forget club day, and let me know if you want to join the pie and chips party. 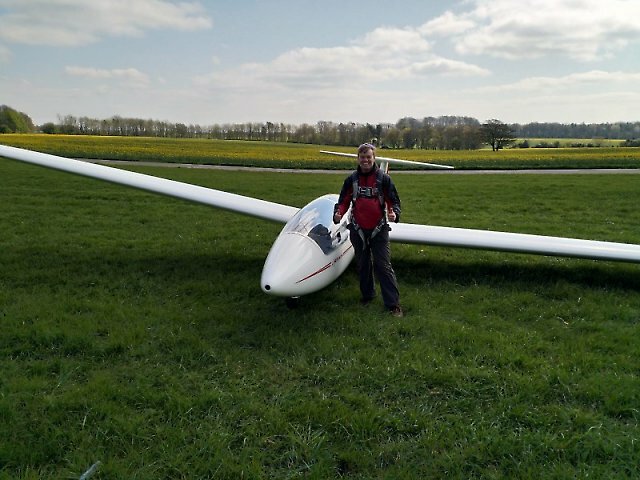 12 April 2019 Last day of course and Johnathan goes solo. 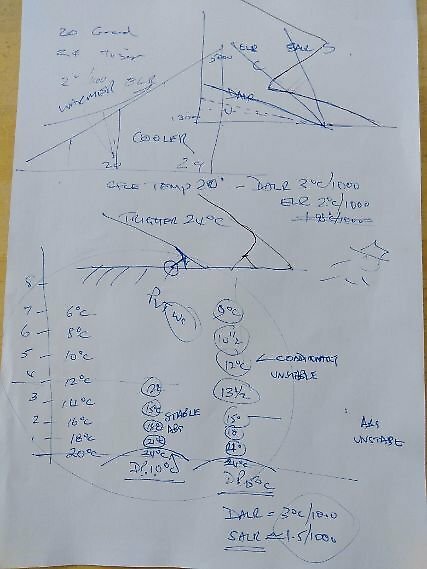 winds easterly and light, cold and thermic from around 11am. 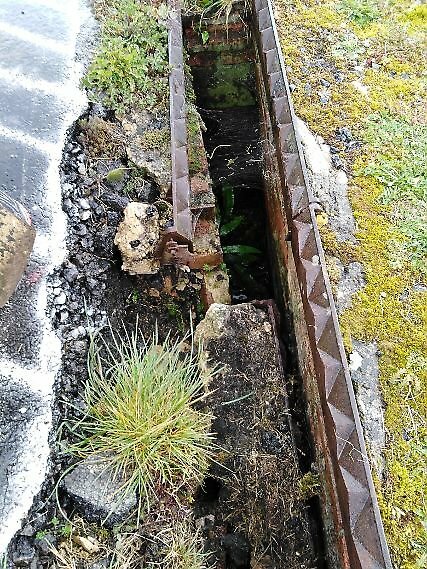 The course continued to make good progress. 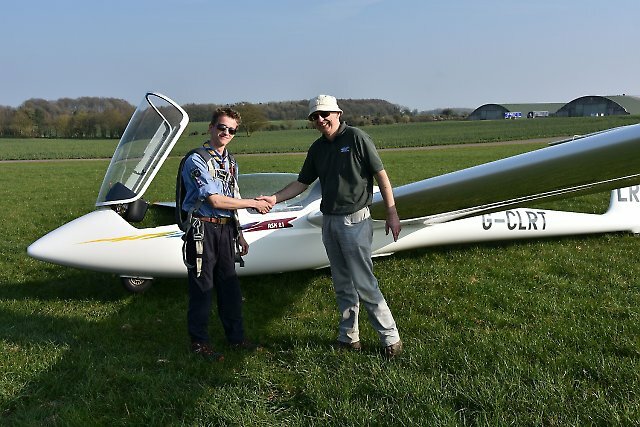 Johnathan went solo for the first time and Alistair completed his soaring flights for the cross country endorsement. 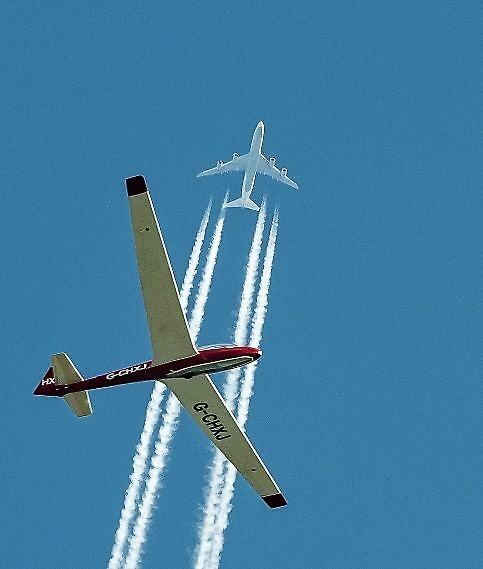 The more experienced course members were shown some soaring techniques to help find these sometimes elusive thermals. Aertotow training for Collin and Lawrence was started today. 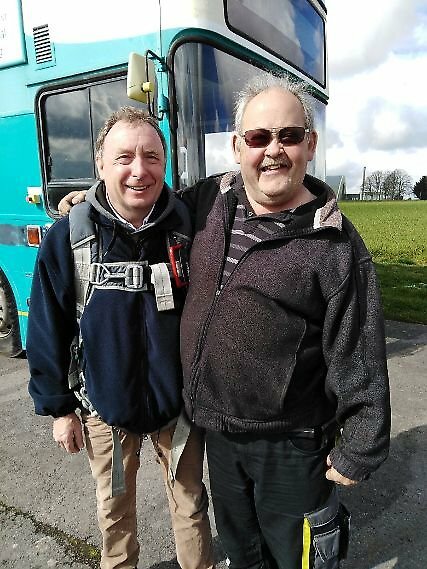 meanwhile the Sportability group, headed by Mike Weston and supported by Robin enjoyed themselves. Thanks to everyone for making the event a success. Lets hope these good soaring conditions are here for the summer. The first picture shows John after his first solo---dont ask him to talk about the stick song! 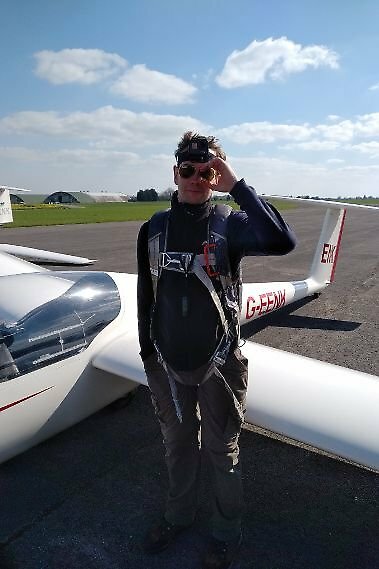 Another good day, well done rex for achieving his 2 hour soaring flight, Alistair for his one hour soaring flight and Jamie for his first landings. Another good day tomorrow, the Sportability group will be here so any assistance will be appreciated. 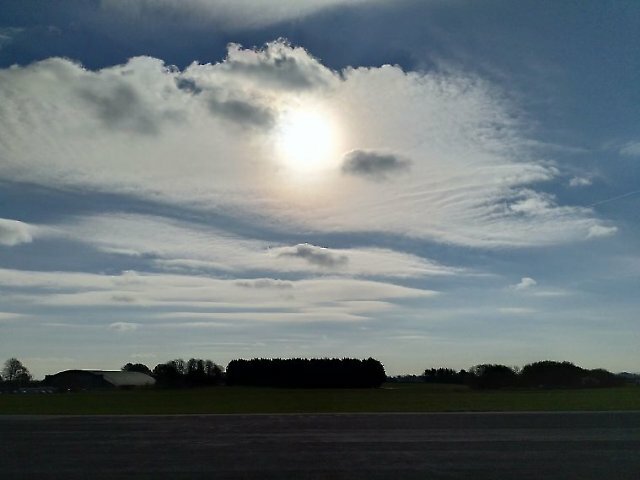 Winds 070/15 cloud bases rising to 3000ft QFE , Good thermals from around 11am. 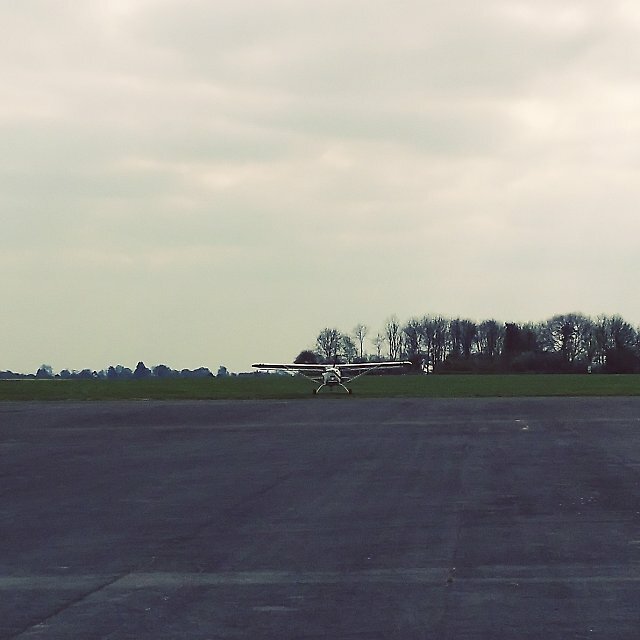 A busy day on the airfield with 2 courses and the club members. 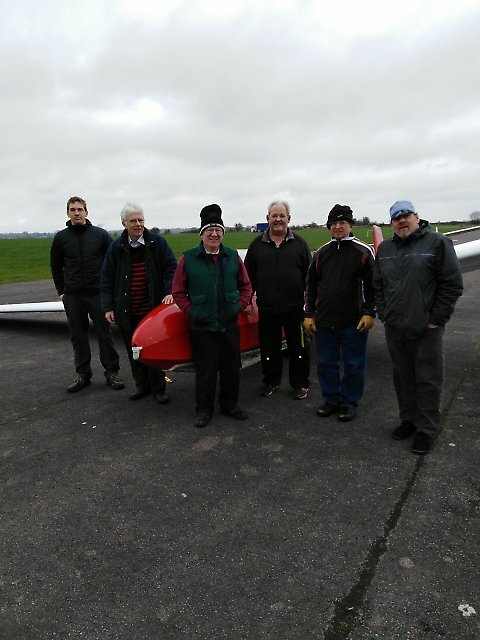 Tony Hayes dusted off the DG500 and took the club pilots for a trip i that, meanwhile Doug and I continued to look after the 6 course members. Winchie Dave struggled through all day without a break, I think we need more winch drivers roll up guys Dave can show you how to winch. 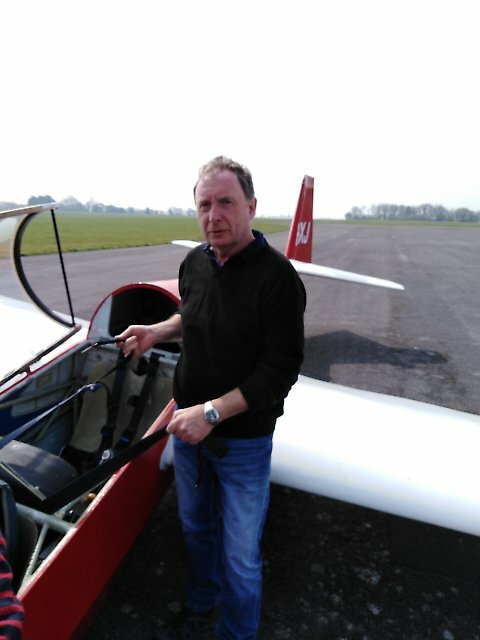 A couple of more adventurous pilots went off cross country Phil Walker checked out the Welsh hills and ken took Lawrence on a little local cross country. Thanks to the UWE students who energetically helped us keep the launch rate up, we couldnt have managed without you. The day ended with a brief on launching followed by Pie and chips in the clubroom. Another good day is expected tomorrow. Another excellent training day, with everyone having loads of fun. John lampier introduced us to the "stick song", the words are very easy to follow! 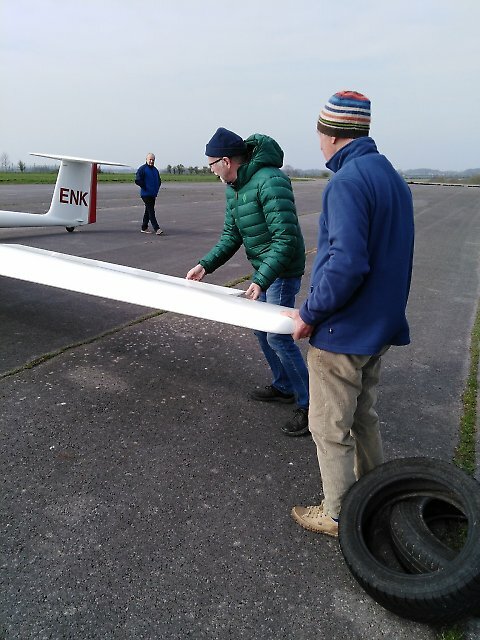 Well done to Alistair and Rex for resolo today, not bad when you consider the weather. The pictures show Alistair beside the K13 and Doug and Alistair discussing technical stuff. The next few days will be chilly but much improved for training. 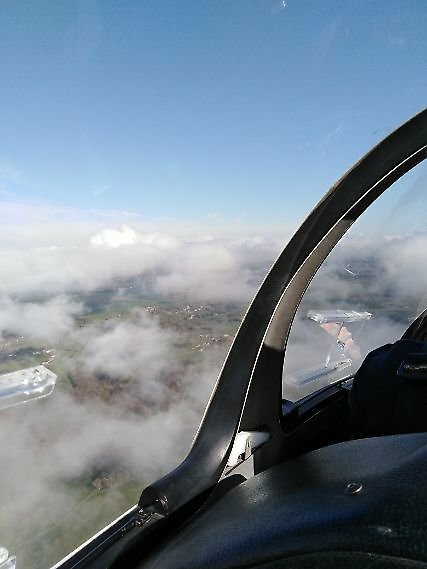 Club day tomorrow, and pie and chips after flying. 6 people on the course this week, and Doug gardiner is helping with the instruction. Most of the day was used to put Rex and John lampier through their paces with launch failure practice. 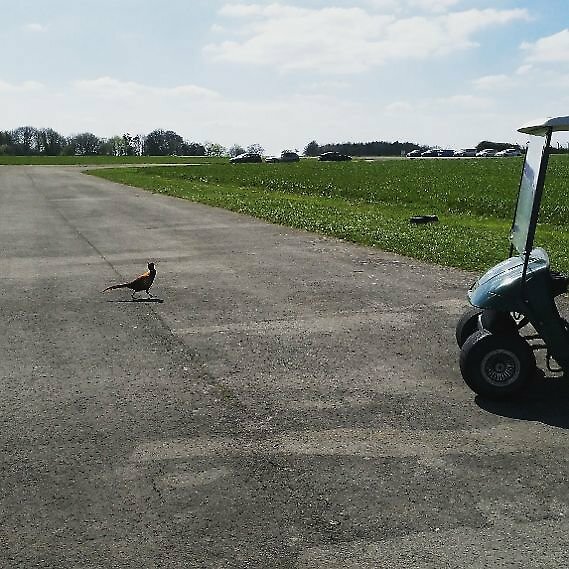 Doug took Alistair and Jamie Lomax off to the simulator, where they happily flew circuits in the bright sunshine! A slight hiccup today when one of the winches decided not to work, leaving us with cables out and no working engine. Thanks to everyone Richard, Tom and dave for stepping in to help us out of that fix. 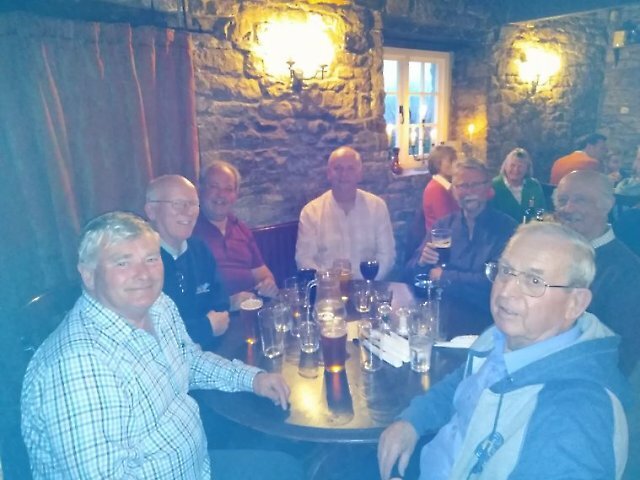 The day ended with a convivial meal in the clubroom, looking forward to better weather tomorrow. A cold brisk easterly wind saw us launching from runway 09 with the usual restrictions of that end. A good few hardy souls were rewarded with some sunshine and thermals to over 3000 feet by the end of the afternoon. Longest flight over 2 hours (Discus) with the K18 also having a few long soaring flights. 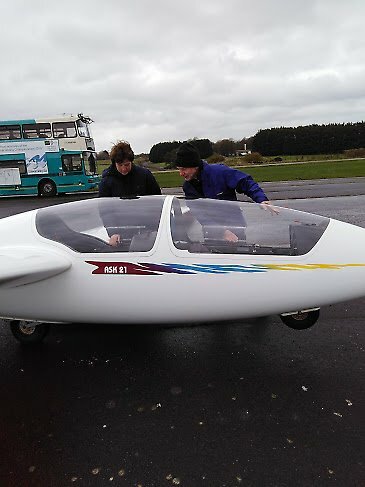 The DG500 aerotowed off to Nympsfield in support of the Junior winter series weekend there. 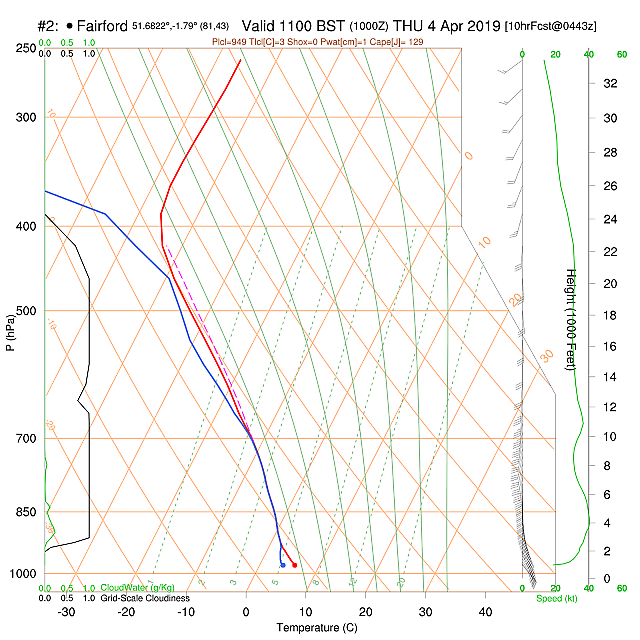 Winds still strong SE but easing through the day with thermals to a 1500ft cloudbase. 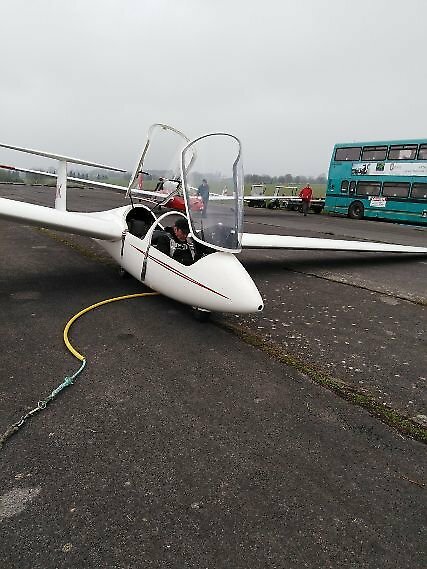 using runway 09. the weather was too unreliable for Peter Francis to make the trip up from Kent, so he sensibly decided to reschedule. 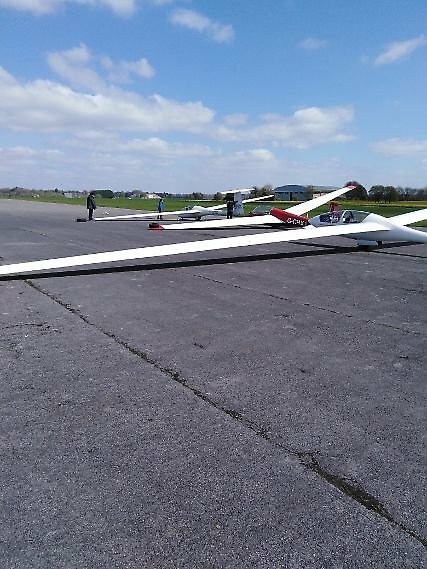 Meanwhile lots of trailer repairs going on in the butts and Roger Smith, Etan Maya and David hart ventured out to fly and brush up their skills. Picture shows Roger explaining to Etan the general principles of a daily Inspection. The forecast for the rest of the week look's good.